Selection and volunteer vetting of the host family must be completed prior to the host club finalizing the inbound student’s guarantee form. Because this often happens in March or April all the families are not always identified. A good practice is to always have an arrival family fully vetted that is willing to act as the welcome family for the first week or two after the student arrives. This family can be responsible for communicating with the student, possibly meeting them at the airport, familiarizing them and introducing them around town, and introducing them to club Rotarians, bringing them to their first Rotary meeting and to introduce them to other peers in the area. By having a welcome family you can process the necessary paperwork quickly. A student must be notified if this first family will be their arrival family or their permanent family before they leave their home country. If the first family changes prior to the student leaving their home country the student must be notified and the change recorded in the YEAH database , also, the student’s country officer must be notified. All families must be fully vetted through the volunteer and host family process and have had an orientation prior to the student’s move in date. You are looking for two (2), three (3) or four (4) loving and caring families who are going to be fortunate enough to be chosen to enjoy the benefits of having a foreign student at their home for approximately three (3) to five (5) months. Survey your club. Contact all members and their spouses to determine if they would consider hosting a student for 3 to 5 months. (Yes, No or Maybe) Would the Yes’s and Maybes prefer to host a boy or a girl? Find out what time frame fits their situation: fall, winter or spring. Ideally, your next year’s outbound exchange students’ families should be assisting you in identifying families that have agreed to host a student in their home; it is even acceptable to require an outbound student to recruit host families; it is just not acceptable to require a student's family to host. This should be made part of your recruiting practices. Other sources to contact: previous host families, returning and current student's families, church members, and friends from other organizations, if your high school has an Interact club you could put the word out with the students in the club. If your incoming student has a special talent or interest (i.e. swimming, music etc.) contact the school’s swim coach, music teacher, choir director, etc. It is ok to ask for referrals, . Keep a list with potential host families; sometimes a family may not be ready this year, but maybe ready in the future. 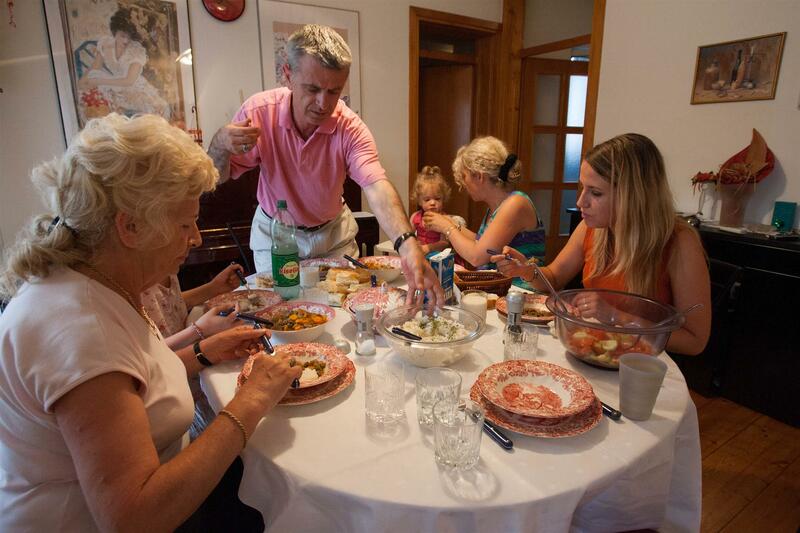 Host Families do not need to be Rotarians. Once your families have been identified and interviewed you must complete the vetting process. Be aware of the kind of home you are looking for – Is the home going to be safe? – Are the parents going to be partners in providing a safe, positive experience for the exchange student? Is this a family you can develop an open communication with regarding the student’s behavior and well-being? Supply information about the Inbound Student to potential host families. (Remembering that on the US side, no identifiable photos, contact information or private details of the student can be shared with anyone until that person has been completely vetted through the background process in YEAH) A potential family can learn a lot about the student’s character; likes and dislikes from their application essay and this probably does not contain secure information. Once you have secured and vetted your host family(s), set a date for a 1-2 hour host family orientation (this must take place prior to the student moving in with the family). Have host family manual and information packets to give them (see related pages for help with this material). If you have multiple families secured you may choose to invite them as a group to a central location or your home for an orientation. Every host family MUST have an orientation for every program year and student that they host, regardless of how many times they have hosted (if they host a student in the spring of one year and another the following fall they must have an orientation for each student because they are here in different program years) – program years are July 1-June 30. It is ideal if the first family has a teenager in high school but is not a requirement. This helps the exchange student get into the stream of classes, study, meeting friends, activities, etc. After the first family, it is not as important that the remaining families have teenagers. The exchange student by then is used to our school system, has made some friends, language skills have improved, etc. Families 2, and 3 can be families with no children or grown children, both parents working, families with small children, retired couples and appropriate single parent families. Our exchange students are selected as mature young people. They should not need after school supervision until parents get home. They will be either going to after school activities or will come home to do their homework, household chores, etc. If you are always asking for potential host families you will have a supply of names to draw from to choose the best family for your student.